PRESS RELEASE (July 5, 2017) —- Limited time Php1,000 “back to school” special discount for OPPO F3 from June 1 to July 31, 2017. The OPPO F3 is a 5.5 inch camera phone with dual selfie cameras for wider selfies and added bokeh effect. Starting June 1, 2017 until July 31, 2017, customers can avail a Php1,000 special discount when they purchase an OPPO F3 in any OPPO authorized resellers nationwide. Aside from the special discount, OPPO also encourages everyone to join the online “Back to School Giveaway” in OPPO’s official Facebook page. Anyone can be part of it by simply following the mechanics such as submitting a school groufie, visiting OPPO Philippines official social media channels and more to earn points to serve as entries. Participants with successful entries are eligible to win prizes such as premium backpacks, OPPO A37 smartphones and a grand prize of an OPPO F3 smartphone and laptop. The online giveaway will start from June 5, 2017 until July 2, 2017. Announcement of winners will be on July 7, 2017 via OPPO’s official Facebook account. The OPPO F3 and F3 Plus are now available in the market for Php15,990 (limited time offer) and Php23,990 respectively. OPPO’s back to school giveaway promotion will run until July 31, 2017 with DTI Permit No.88319 series of 2017. For more details about the OPPO F3, please visit http://www.facebook. com/OPPOPH/ or log on to http://www.oppo. com/ph/index.html. 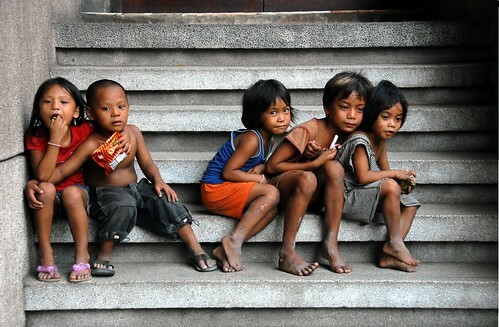 The project addresses poverty, illiteracy and the impact of exploitation on the lives of 600 street children in southern Philippines. The life competence center provides free alternative learning, tutorial and life skills that give them better chances of being transitioned to formal schooling. They also avail voluntary HIV and health screening while opportunities for entrepreneurial activities that make them earn and mobilise life savings to secure own future is afforded.